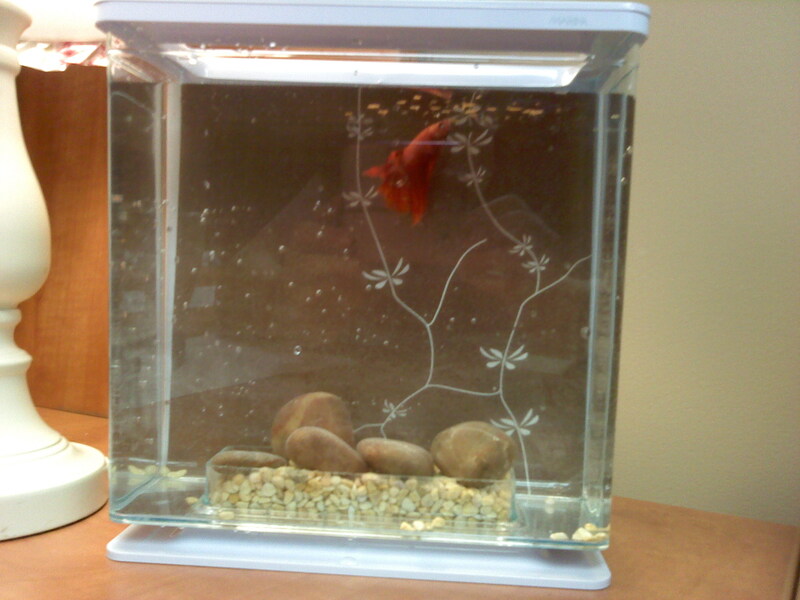 Trying to Make a Windowless Office Livable: Fish! My office is in the basement meaning no windows! Coming from my office in Waterton, where one wall was all glass looking onto Bears Hump, this has been a MAJOR readjustment and it’s not an easy one. 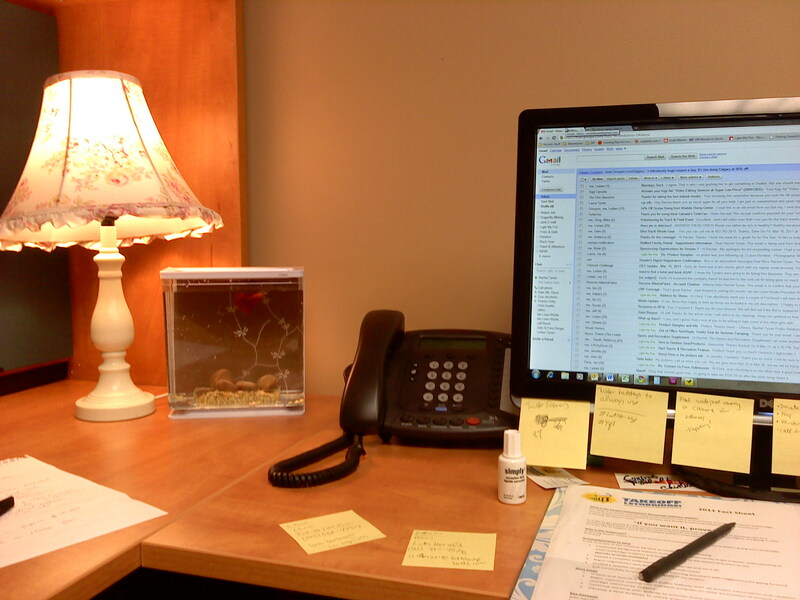 I find that I have a lot less energy, a harder time focusing and I leave work feeling tired and crabby. I am trying to change that and I figured the best way to do so was water. I have always had a major connection to water, there are three rivers in downtown Fort mcMurray I used to swim in, Seattle is on SO much water and then Waterton was right on the lake. Moving to Lethbridge, I have noticed a yearning for water so I made up my mind to get a little desktop water fountain. While looking at them, I had a great idea, a fish! 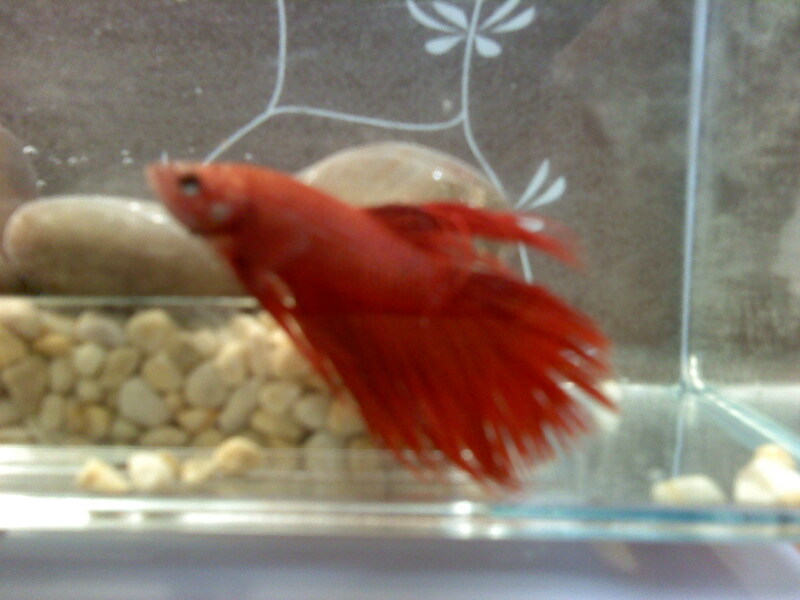 Now, I am a fire sign so I went with a red beta fish and a deep red background beta tank. I was going to name him Al, short for Alpha Beta Gamma, but I thought Al was too short so instead he is named Allegro.